The job responsibilities of a biological engineer are diverse. A biological engineer may study the environment to improve the ways we conserve soil, water and other natural resources. He or she may design new equipment or methods used in medicine or agriculture, or specialize in power systems. The specific talents of a biological engineer may lead her or him into a career involving research, management, sales or production. In all cases, biological engineers combine their skills in math and science to find solutions for many of the problems facing the world today. A bachelor's degree in biological engineering or a related field is necessary for nearly all entry-level positions. Biological engineer students might choose from four areas of specialization, including environmental, biomedical, bioprocess and agricultural. Coursework may include the study of water management, geomatics (the science of managing information about the environment), engineering designs and food processing with a concentration of courses in math and biology. Besides an interest in math and science, a biological engineer should be curious, analytical and solution-oriented. Because they work with a wide variety of other professionals, biological engineers need good communication skills and the ability to work as part of a team. The U.S. Bureau of Labor Statistics (BLS) projects that the growth rate for jobs will vary based on the specific field within biological engineering. Biomedical engineers are expected to see 27% growth from 2012 to 2022, which is much faster than the average for other occupations. 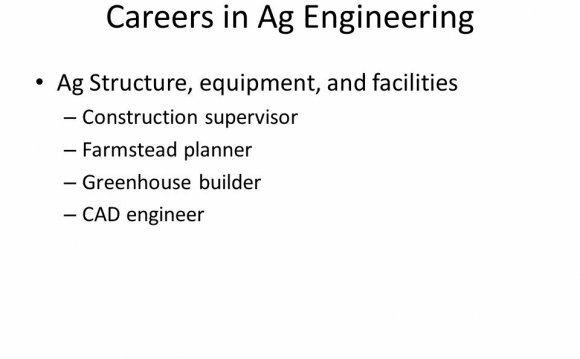 Environmental engineering jobs are predicted to grow by 15% (also faster than average), while agricultural engineering jobs are predicted to see only a 5% increase (slower than average). According to the BLS in 2012, the median annual salary for biological engineers who specialized in agricultural engineering was $74, 000; $86, 960 was the reported median for biomedical engineers, and $80, 890 was the median annual wage for those who specialized in environmental engineering. For those interested in biological lab work who wish to support engineers and scientists, becoming a biological technician could be a good career option. Biological technicians collect and prepare specimens, samples and other materials, in addition to assisting with experiments, examining results and compiling data into written reports. A bachelor's degree in biology or a related field is how one would enter this profession. Taking courses with hands-on lab work is also very important. As seen in BLS projections, biological technicians should experience a 10% increase in employment opportunities during the 2012-2022 decade. In 2012, the BLS determined that these technicians earned a median salary of $39, 750. If a job performing more complex scientific research is desired, a career in biochemistry should be considered. Biochemists use highly technical equipment to study the chemical nature of living organisms and the composition of materials. These chemists can focus in areas such as food production, disease research, genetics, pharmaceuticals or energy fuels. Dagoberto Valdés Hernández (born August 4, 1955, Pinar del Río province, Cuba) is a Catholic intellectual and the editor and founder of Vitral and “Convivencia” magazines.